I have written about knee injuries so much. Every day we are bombarded with research that quite frankly, it gets boring. The problem is with approximately a quarter-million ACL injuries per year, it is safe to say the injury is rampant. The devastating nature and commonality of the injury has provided loads of information on prevention, rehabilitation and mechanisms of injury. I am not going to regurgitate them all, but do want to share some recently published articles that sports medicine experts should read. Article 1: Negahban, Et al. A systematic review of postural control during single-leg stance in patients with untreated anterior cruciate ligament injury. Knee Surgery Sports Traumatology and Arthroscopy, May, 2013. 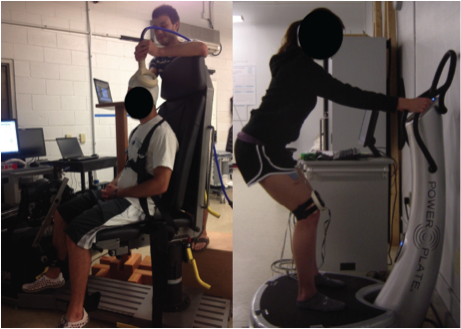 I love systematic lit reviews and this SLR aimed to determine postural control on those with ACL injuries. We have many internal systems and senses that help us balance. Beyond the use of our eyes and ears to sense balance, tiny mechanoreceptors and proprioceptors exist in our tissue that sense abnormal movement. This study found that when the eyes are closed individuals with ACL injuries had increased postural sway and loss of balance. This indicates that the injury and inflammation following injury inhibits our body’s internal mechanism to sense balance. When rehabilitating, be sure to emphasize proprioception exercises. Article 2: Thomas, Abbey, et al. Lower Extremity Muscle Strength After Anterior Cruciate Ligament Injury and Reconstruction. Journal of Athletic Training published online first, 2013. Despite advances in rehabilitation and the numerous studies published on ACL rehabilitation protocols, we appear to be failing. This study shows that at 6 months Status Post ACL reconstruction that global weakness still exists. When comparing strength output from injured vs. uninjured legs it appears the knee-extensors (quads) and knee flexors (hamstrings) are weaker at 6 months when compared to the contralateral side. Conversely hip and ankle strength was not significantly different at 6 months. The timeline to return a player back to competition and activity is 6 months following activity and/or 95% strength of the uninjured side. This study indicates 6 months might be too early. Also, we may need to adjust our strengthening protocols to further stress knee flexion / extension strength. Article 3 – Bell, DR, Clark, MA, Padua, DA, et al., Two- and 3-Dimensional Knee Valgus Are Reduced After an Exercise Intervention in Young Adults With Demonstrable Valgus During Squatting. Journal of Athletic Training published online first, 2013. Darin Padua and the UNC Department of Exercise and Sport Science has done a lot of work on knee displacement and correlating the findings with ankle hypomobility and hip underactivity. This particular model used the NASM Corrective Exercise Model as the intervention procedure. This method systematically turns off hyperactive tissue and activates hypotonic tissues. The data revealed that following intervention of the ankle and hip medial knee displacement was significantly reduced. This information is important as several studies have shown medial knee displacement to be a primary cause of ACL injuries and chronic knee pain. Article 4: Ericksen, et, al. Different Modes of Feedback and Peak Vertical Ground Reaction Force During Jump Landing: A Systematic Review. Journal of Athletic Training published online first, 2013. The inability of the body to absorb and control joint movement during high levels of ground reaction forces has been shown to increase risk of ACL injury as well as other chronic knee conditions. This study evaluated the effect of expert provided and self-analysis feedback reduced peak ground reaction forces. This is not a paramount study but does shows the effectiveness of verbal queuing and observation to correct suboptimal neuromuscular control, specifically during landing and absorption of ground reaction forces through the kinetic chain. Rehab practitioners should incorporate feedback to teach clients appropriate muscle control during ACL rehabilitation. I would like to say thank you to Darin Padua, PhD, ATC for keeping me abreast with current data. Darin is a leader in sports medicine research and specifically has many published papers on ACL injuries. Darin manages his blog site and also shares info on his twitter account. If you are a health and wellness professional seeking important information rehabilitation and prevention of injury, I recommend you give Darin a follow. This entry was posted in Injury prevention, Knee, Rehabilitation, Research Review, Sports Medicine and tagged ACL, Anterior Cruciate Ligament, athletic training, injury, Landing, neuromusclar, Prevention, proprioception, rehabilitation on June 3, 2013 by Joshua Stone. STOP! Before you start throwing knives at my head I don’t really think women are wimps. If I did my wife would be waiting for me when I get home to prove me wrong. In fact, it is quite the opposite. Women have demonstrated continued increase in sports endeavors and are much faster, more aggressive and powerful than in past decades. However, secondary to the increased participation in sport, women are sustaining many more injuries. 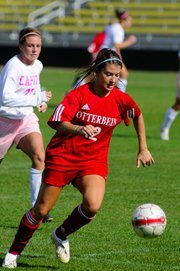 Females between the ages of 15-25 years are most often injured, with the majority of these injuries are to the anterior cruciate ligament (ACL). Females are 2-5 times more likely than males to sustain an injury to the ACL. This injury is primarily noted in basketball and soccer, but is still prevalent in many other sports such as volleyball, softball and gymnastics. Women over the age of 25 are also more susceptible to recreational sporting injuries compared to males. Many of these injuries are also musculoskeletal in nature, such as ankle sprains, shoulder tendinopathy, and chronic knee pain such as chondromalacia, PFPS and ITB Syndrome. Looking at the glass half-full though,most of these injuries can be prevented with correction of movement dysfunction. With the increased participation in sport and the commonality of musculoskeletal injuries it is prudent to understand typical movement dysfunction patterns that bring about these injuries. 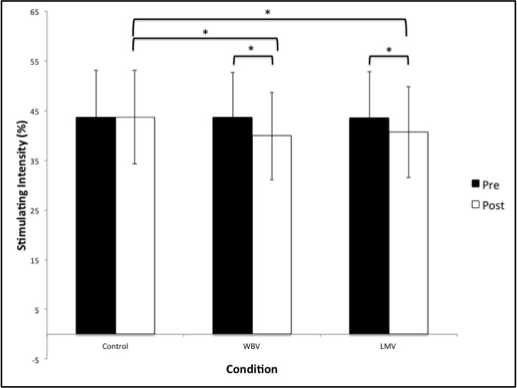 Secondary to genetics, body morphology and muscle recruitment females are susceptible to lower extremity impairment syndrome. Lower extremity impairment syndrome is a combination of muscle imbalances, joint dysfunction, and poor muscle recruitment patterns from the low back to the foot. The impairment syndrome can be characterized by foot pronation, knee valgus, femoral internal rotation, and lordosis at the low back. When performing functional activities, such as running or cutting, these characterizations are amplified. Ultimately, this leads to ACL tears or the aforementioned chronic pain syndromes. The good news is these poor biomechanical patterns can be corrected following focused rehabilitation techniques designed to improve muscle synergy as well as joint mechanics. Many studies have been done to show a significant reduction in the incidence of injuries, such as ACL tears, by correcting these impairments. If you are having chronic pain in the lower extremity, it might be a result of lower extremity impairment. This is a good thing, because it can be corrected. This entry was posted in Fitness Training, Injury prevention, Knee, Rehabilitation, Sports Medicine, Sports Performance, Women and tagged ACL, ankle, fitness, IT band, Knee, runners knee, shin splints, Women on October 17, 2011 by Joshua Stone.